This morning, I awoke to a three word text from a friend that shook the sleep from my eyes and put a knot in my stomach, “RIP Robin Williams”. In the hour that followed I watched the news channel piece together what has to be the saddest Hollywood death in recent memory. 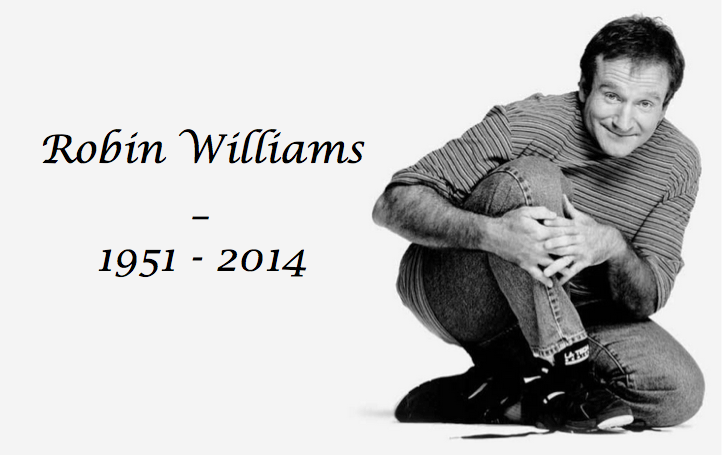 Contemplating the apparent suicide of Robin Williams is a most bitter pill to swallow. To think that a man who brought such happiness and laughter to millions of film fans around the world could not find it in himself to experience the same is heartbreaking. We have seen time and time again that the line between joy and sorrow in the minds of both special and ordinary people can be oh so thin, and for this particularly special person it seems as though the thin line finally became transparent.